I’ve read 3 of the classics, 1 of the newer and 1 of the YA 🙂 I’ll deffo have to set up a challenge!! Yes! Maybe I could add it to the book group? Great list RinnLots of oldies that I remember fondly. Newer books, some of which I’ve read, some I’m interested in reading. And 1/2 the YA books I’m reading or finished. Good luck. Have you ever looked at Terry Pratchett’s Discworld? He’s fantasy, with a classic bent. I love to read his works. 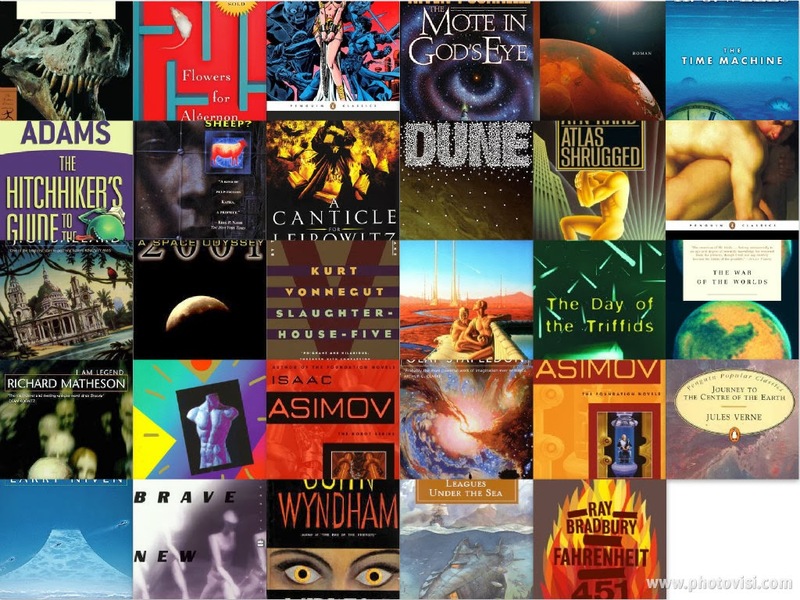 I’ve been searching for a good sci-fi list and this one looks pretty good and diverse! I may make some changes of my own to the list (less YA and more Russian sci-fi probably) so I’m not sure if it’s okay to be a part of this challenge still? But great list Rinn! Oh no that’s fine, Riv! Maybe I’ll add some of your edits, haha =) Thanks! Great list! I’ve read 8 out of your classic list and there are several more that I would like to get to at some point. I, Robot and the Foundation trilogy (LOVE me some Asimov), Do Androids Dream of Electric Sheep, Dune, I Am Legend, Ringworld, A Princess of Mars, Journey to the Center of the Earth. Outside of the last one, which I thought was okay but too long winded with too little happening, I would recommend them all. They each are different and have different things going for them but all are books I have or would re-read.